I like the purple one better than the teal. Both of them look good to me though. 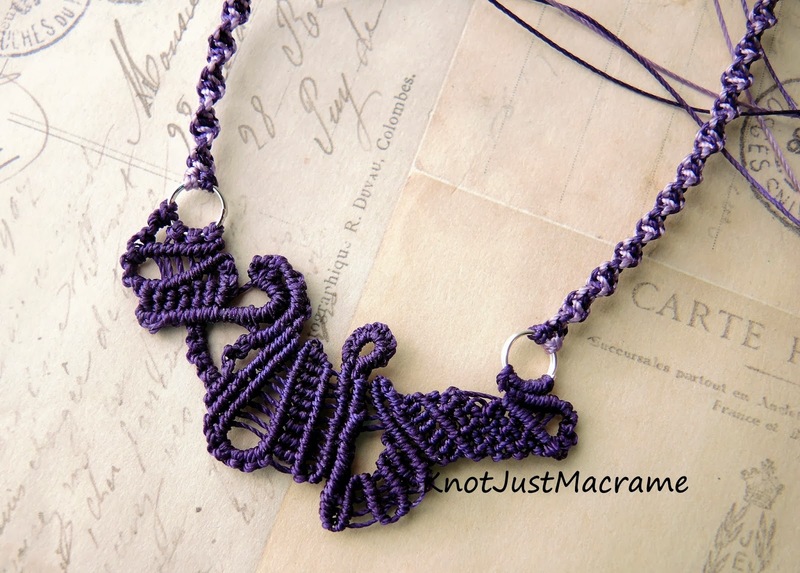 I love freeform stuff and the idea of freeform macrame is new to me. I really love both of the necklaces. They have just the right touch and not overstated. They are you and your creativity. I would love to learn how to do the freeform and let it flow. I just do not know if I am there yet. Your necklaces very very beautiful. I really love it. 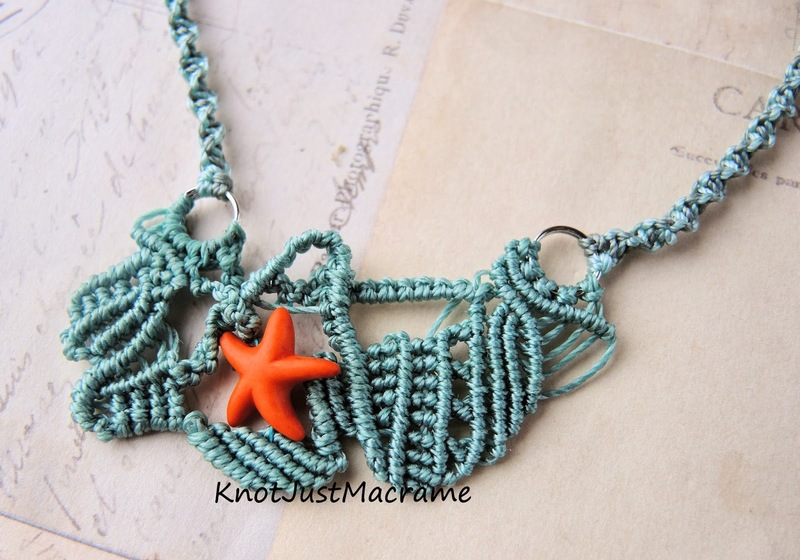 SHERRI, I LOVE the idea & looks of freeform macrame. You do it so very well. Two Christmas's ago, I attempted to do a small macrame piece representing a section of the North Platte River that I loved so much. I never did get it out of my head and onto cord. So, instead I did a needle felted 3D version from a variety of wool rovings. But, I can't wear it, which is what I wanted. You've given me inspiration to start anew on my desire to macrame landscapes. Thank you so very much. Sharon D.